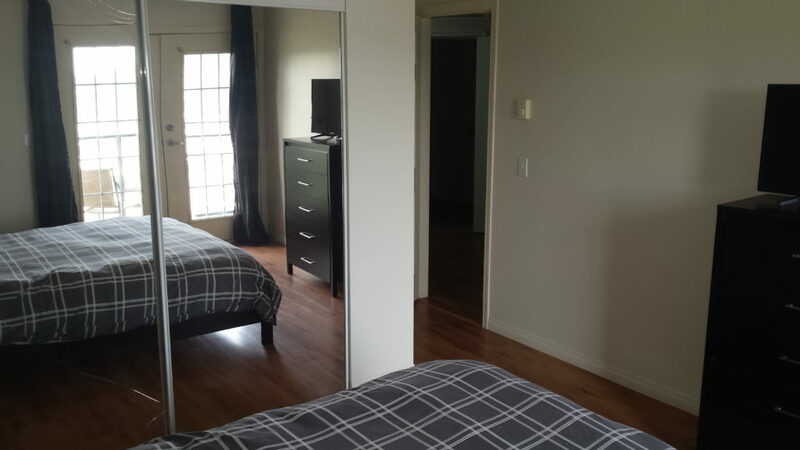 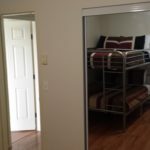 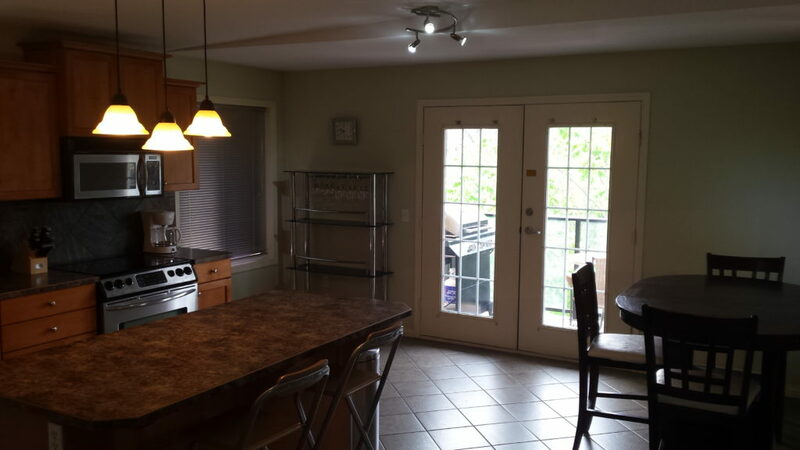 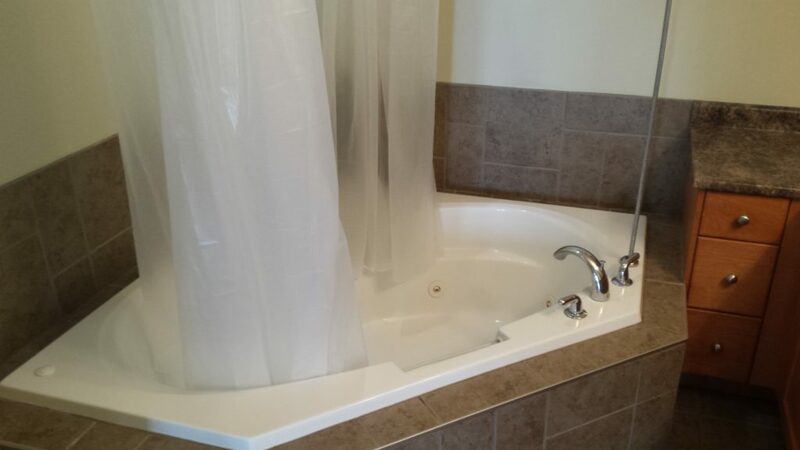 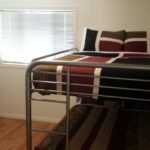 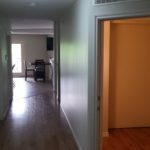 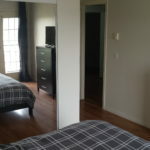 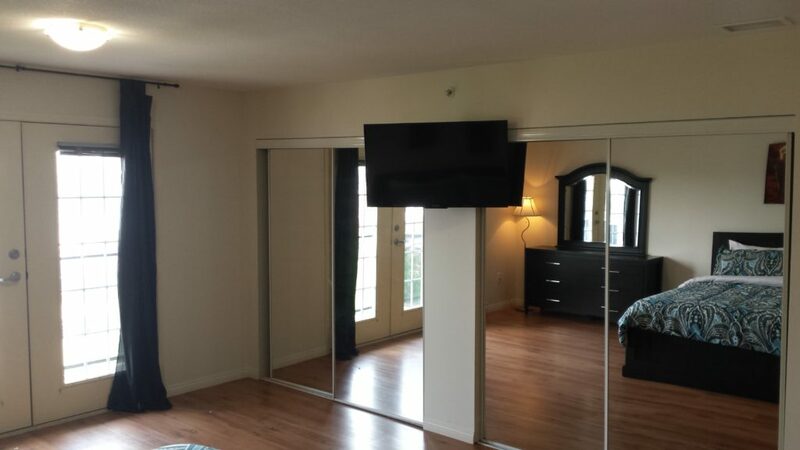 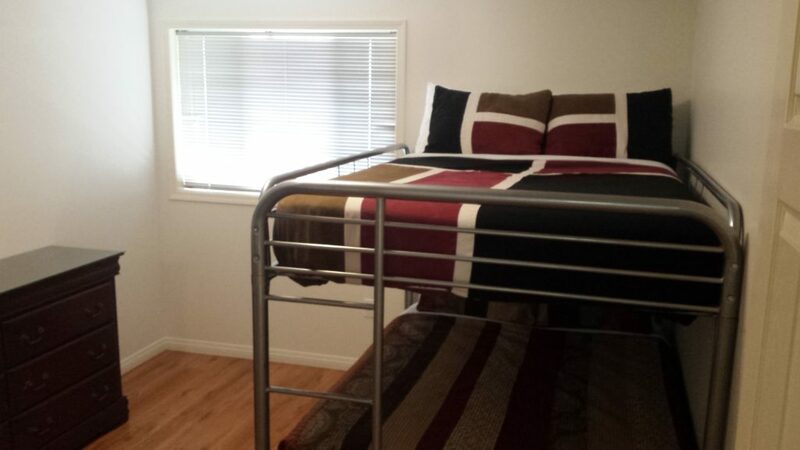 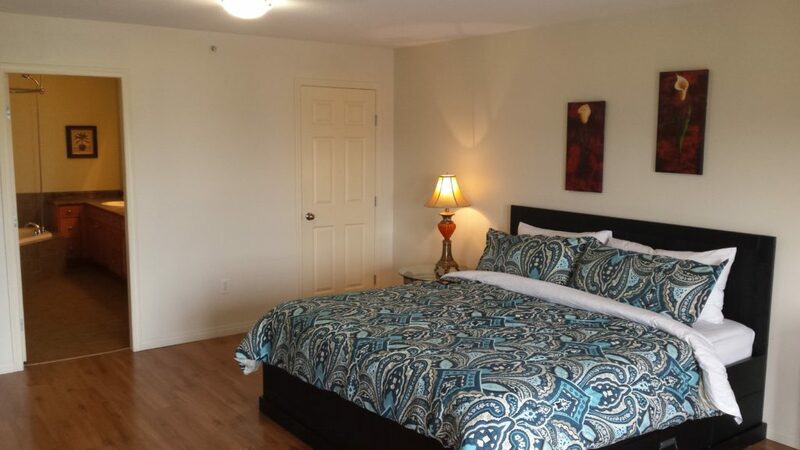 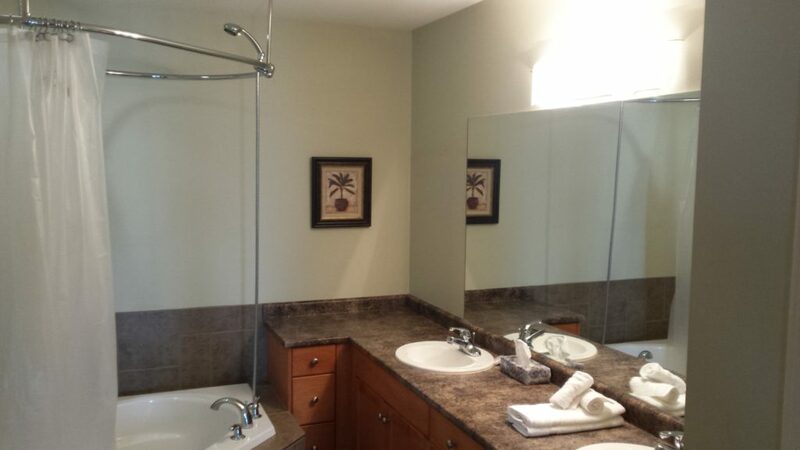 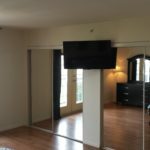 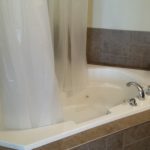 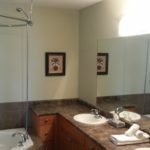 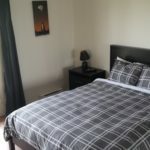 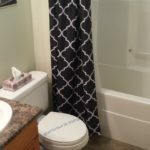 3 Bedroom Penthouse suite comprising of the top floor of this purpose built condo building with full kitchen, King Bed with en-suite Bathroom (spa tub), King bed, and Double over Double Bunk Beds in the 3rd Bedroom. 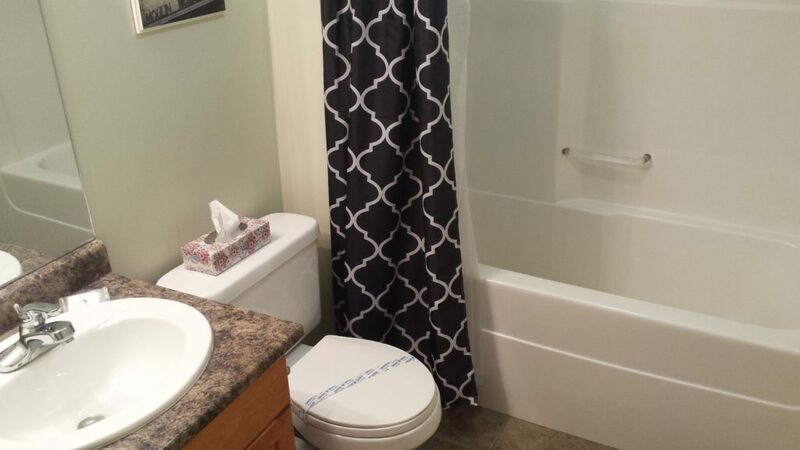 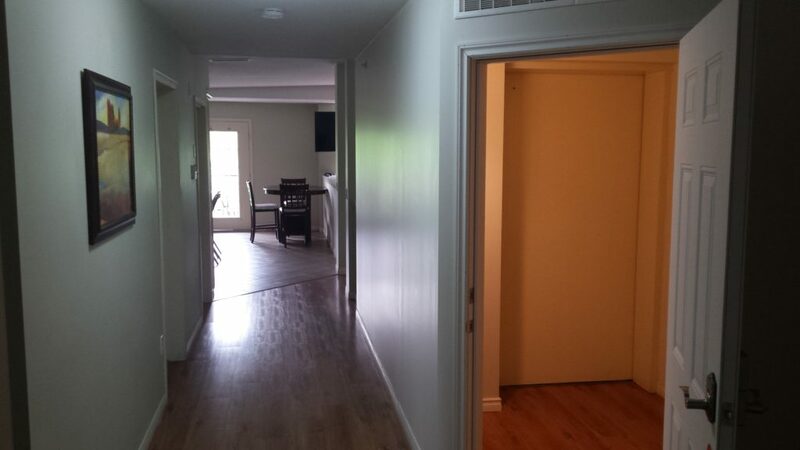 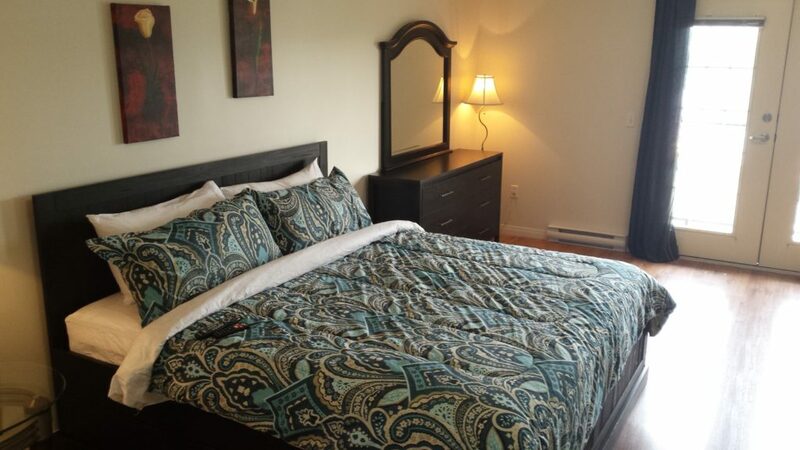 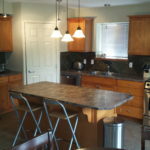 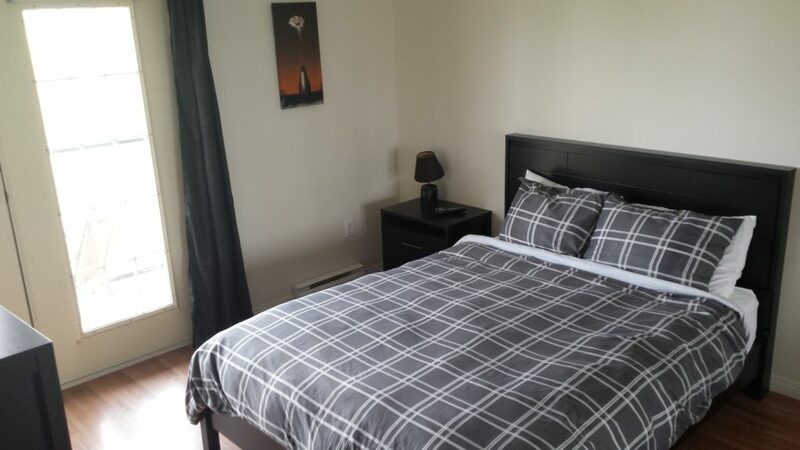 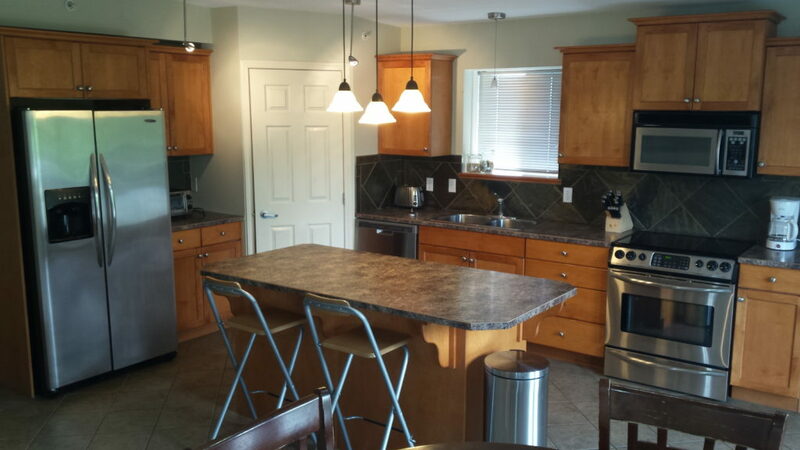 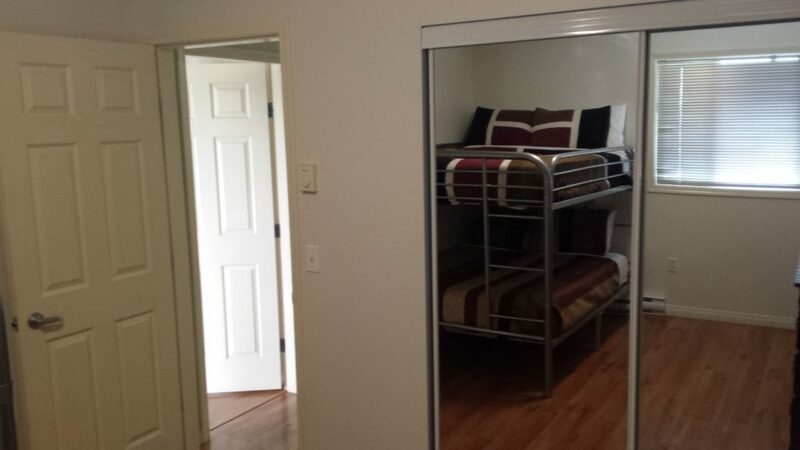 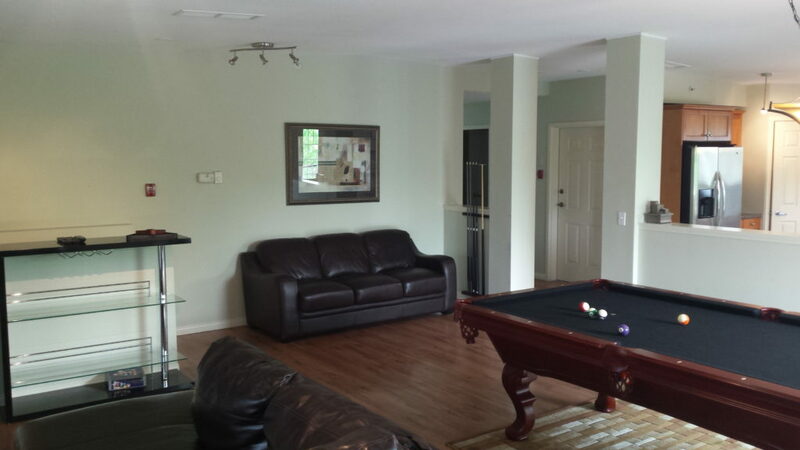 This suite comes with in-house laundry facilities, Washer/Dryer and large living and kitchen areas for entertaining. 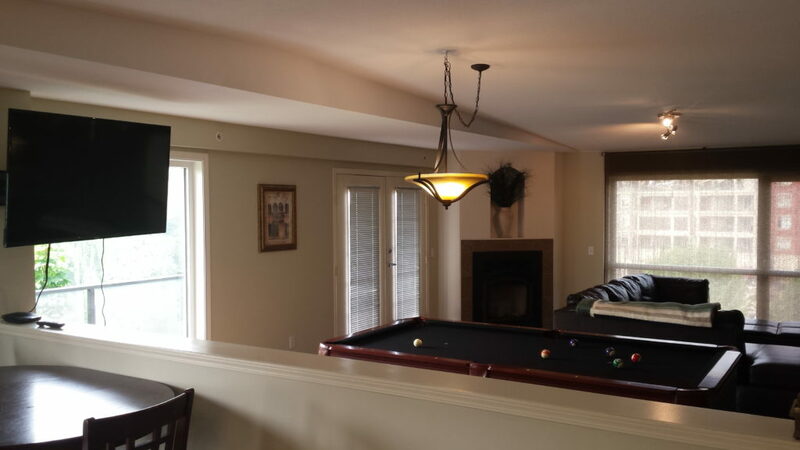 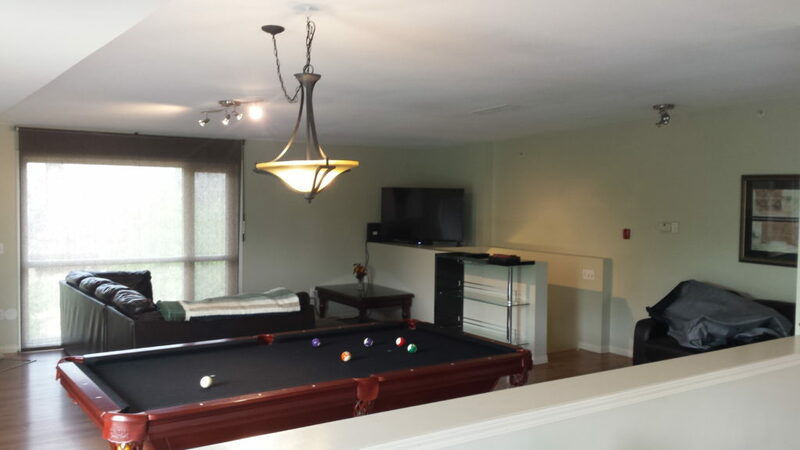 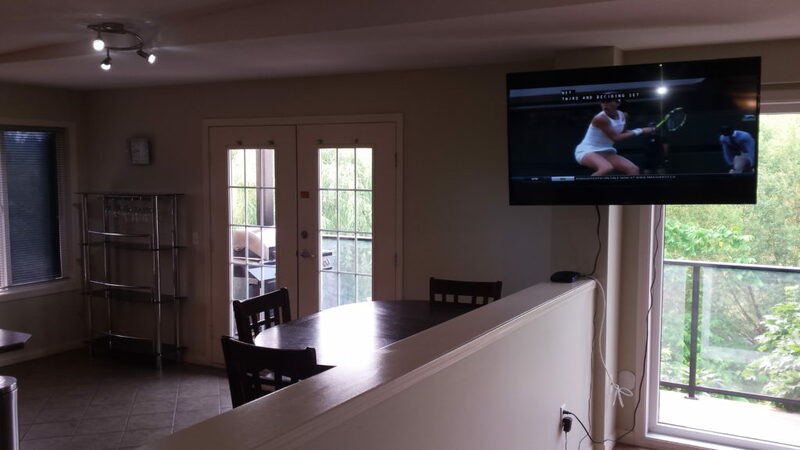 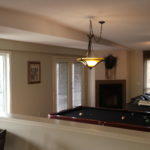 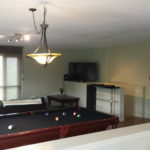 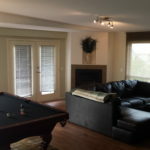 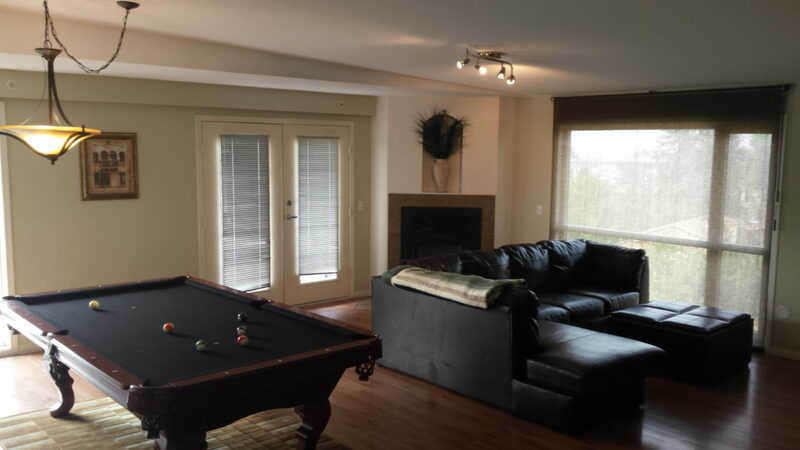 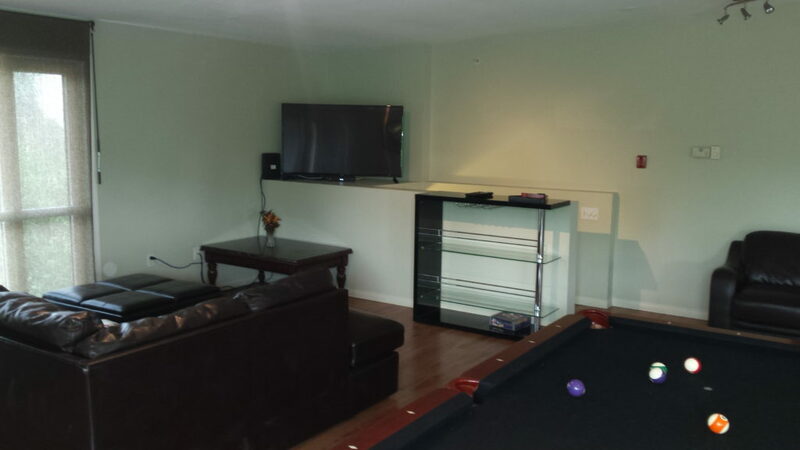 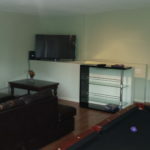 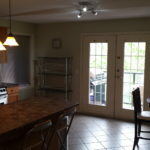 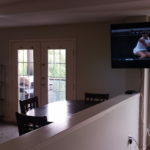 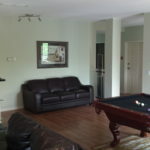 There is a pool table in the main living area with 2 large Flat screen TV’s for watching “The Game” or “The Bachelor”. 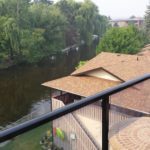 River Street and Lake views from this top story suite abound along with the front and rear balconies and Floor to Ceiling feature window in the living room. 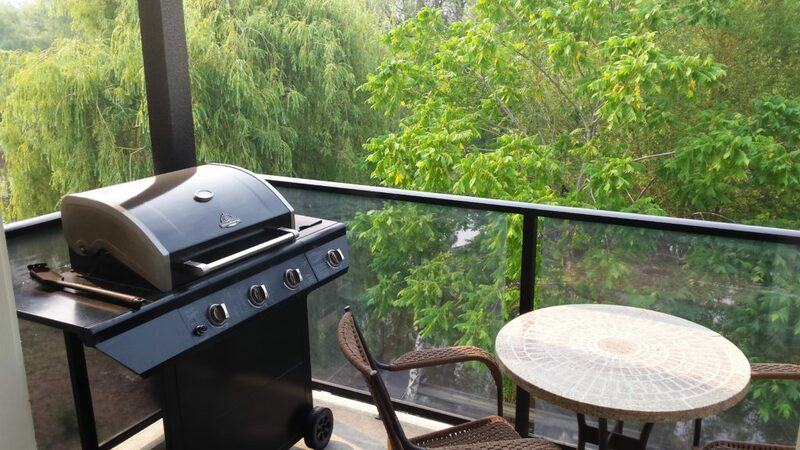 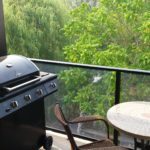 Elevator access is standard and it is still just minutes to Rotary Park Beach, lounging lawn out the back with shared communal BBQ area that fronts directly onto Mission Creek. 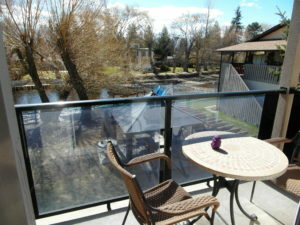 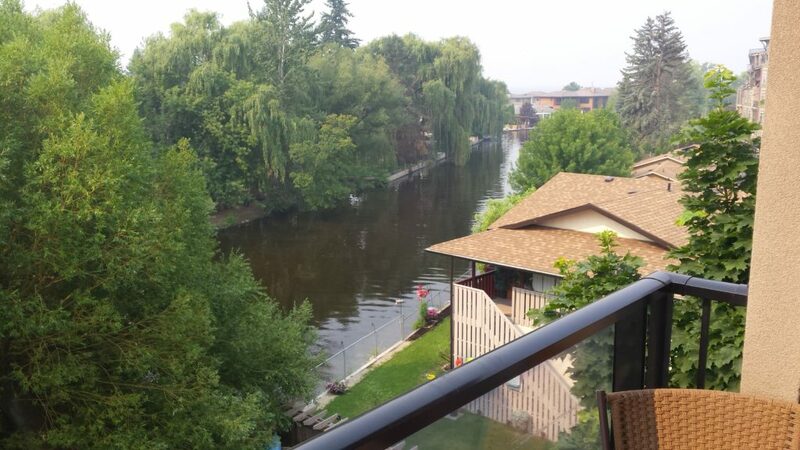 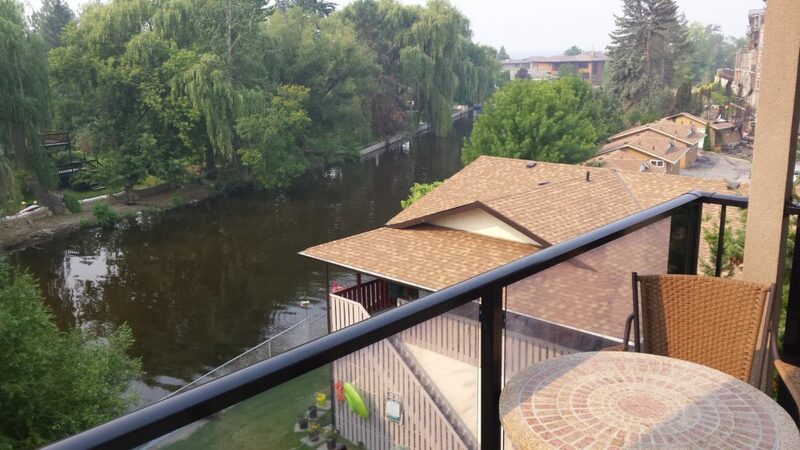 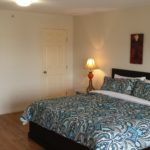 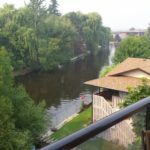 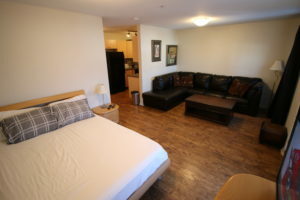 Having just 4 storey’s, this is a compact and affordable option for staying in Kelowna and you can be Downtown in as little as 15 mins – and if you want to visit the Pandosy shopping and retail district, this is only about 10 mins away – Great Pubs, Save On Foods, Retails outlets and boutique fashions, Bike and Board shops. 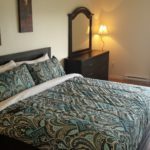 And, if you are in to things a little out of the ordinary – check out Lois Lane and chat the morning away at the Marmalade Cafe. 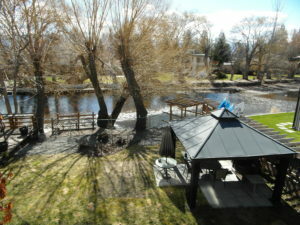 Or just a few mins walk over the bridge at mission creek you have a local Starbucks, Japanese, 7-11, Gas Station and Mission Creek Pub.